If you have ever had to repair or replace your windshield, then you know it doesn’t come cheap. Unfortunately, your windshield can get cracked regardless of whether you are a good driver or not. That’s because even a piece of debris from another car on the highway is enough to crack it. That’s why you need to always prepare yourself for windshield repairs, without having to break the bank. To help out on this, here are 5 tips to getting glass repaired on a budget. When looking to repair your windshield, don’t rush for the first offer you get. Shop around for different offers. You will be surprised to realize that there are many glass repair experts out there that can give you great discounts. For instance, Glass.net offers great discounts for windshield repairs, while at the same time connecting you to the best glass professionals in your locality. That’s a deal you would not get if you just go online and randomly pick any glass repair expert. While your windshield is usually covered under comprehensive insurance, don’t rush to get it deducted from your cover. Compare the amount that your insurance deducts for this versus how much you would pay if you were to take care of the repairs yourself. If the cost of personal repair is lower, do not run it through your insurance. On the flip side, if the damage is too big, then it might be more cost effective to do it through your insurance company. After all, the whole idea is to do the repairs at the lowest cost possible. One thing you should always realize is that nobody has a monopoly of knowledge. There is always someone out there who knows something that you don’t know. Windshield repair is no exception. Talk to people who have repaired their windshields before. They will give you an idea of the best deals in your area. You may also check online reviews for the best deals on windshield repairs, to get a clue on what are the best deals within your locality. One of the reasons why many people end up paying lots of money for glass repair is because, they ignore small cracks that later balloon into big and expensive to repair cracks. 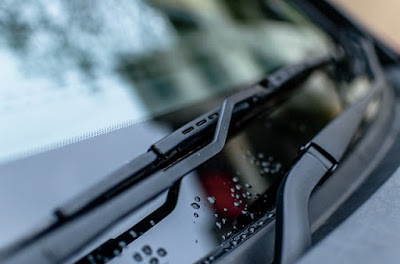 Repairing small cracks is quite cheap, and will also ensure that your windshield goes for a long time without requiring any major repairs or even a replacement, which is quite expensive. When shopping for a company that can help you repair your windshield, go for one that can send a technician to your premises. This will cut on fuel and other costs that you may otherwise incur if you were to go with one that requires you to drive to their premises. You will be surprised at how much you can save, as compared to driving all the way to a glass repair shop that maybe halfway around town.